The Clinton’s misstep, Obama lashes out . . . Aren’t these people seasoned professionals? The year isn’t half over, and already more than a few things in the Democratic political world have left me puzzled—and in some cases downright mystified. My perplexity starts with former President Bill Clinton. How has such a talented man become so tone-deaf? When NBC’s Cynthia McFadden asked him about potential conflicts of interest raised by large contributions from foreign governments and companies to the Clinton Foundation, the former president answered, “All I’m saying is that the idea that there’s one set of rules for us and another set for everybody else is true.” He wasn’t self-aware enough to know that’s precisely the problem, though in exactly the opposite way he intended. Mr. Clinton’s rhetorical mistakes didn’t end there. 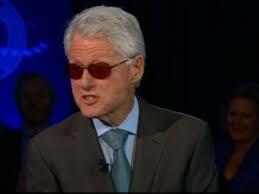 He justified his continued acceptance of speaking fees up to a half-million dollars while his wife is running for president by saying, “I gotta pay our bills.” That isn’t likely to go over well with Americans whose median household income each year is one-tenth of what Mr. Clinton earns with one speech. When he tried to further the “we’re just ordinary Americans” image by claiming he and Hillary had taken “almost no capital gains” since leaving the White House, did he not know or care that financial documents filed by Mrs. Clinton when she was a senator show that to be utterly false? Tax returns filed by the Clintons from 2000 to 2006, the most recent available, report $371,000 in capital gains. Talk about losing your fastball.